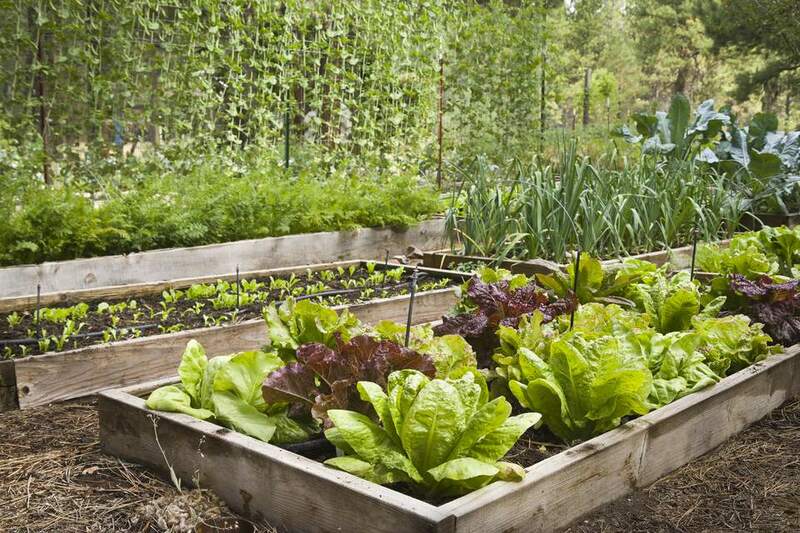 Growing your vegetables from seed is the most economical way to start a garden. Some vegetables are definitely easier than others. The plants on this list don't require grow lights or heating mats and germinate easily in ordinary garden soil. Leaf lettuce is easy to grow, and, if you're sure to sow a bit more seed every week or two, you'll have a constant supply for salads and sandwiches throughout the season. Simply scatter the seed, cover with ​a fine layer of soil or compost, and keep moist. You'll be harvesting dainty, flavorful leaves in about three weeks. Spinach is rich in nutrients and antioxidants, perfect raw in salads or cooked in a huge variety of dishes. As a bonus, it's also easy to grow. Plant spinach in full sun to part shade, and water regularly. Fertilizing with fish emulsion every two weeks is also a good idea. It is best to harvest spinach young when the leaves are about two to three inches long. To keep it from bolting in the summer heat, try planting a heat-tolerant variety like 'Bloomsdale Long Standing.' 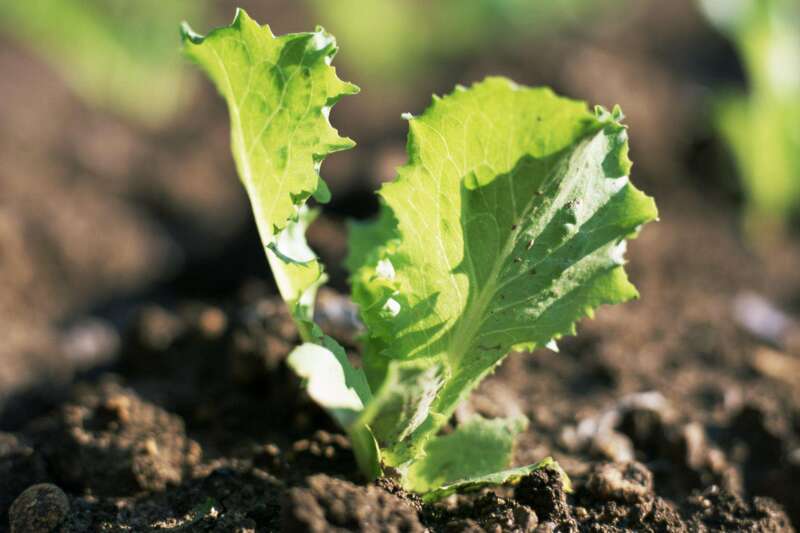 As with lettuce, sow a fresh crop every few weeks. You could start these indoors, but why? These prolific plants germinate very well once the soil has warmed a bit. Direct sow the squash after your last frost date. They'll germinate in approximately ten days. While often a very easy-care plant, zucchini is sometimes afflicted with a couple of issues. Squash vine borers can sometimes attack a plant, and vines will start dying for no apparent reason. Slicing into the stem will often reveal the borer. The other issue is powdery mildew which is easier to deal with if it caught at the beginning stages. Fan-Favorite kale is 'Lacinato' also known as "dinosaur kale." While kale is usually considered to be a cold season crop, it can be grown successfully throughout the summer by harvesting the largest leaves fairly regularly. Young leaves are delicious raw in salads, and mature leaves can be cooked like spinach or added to soups. Another great variety, especially if you are looking for ornamental value, is 'Red Russian,' which has a mild taste and pink-ribbed, bluish-gray foliage. Beets can be grown for both the roots and the greens, which are edible. They're very pretty in salads and provide a bit of sweetness when mixed with other baby greens. Grow beets in loose soil, and keep them evenly moist; beets that are allowed to dry out often develop woody roots. Beets can be planted as soon as the soil can be worked in spring, and sown every two weeks or so throughout the season (especially if growing them for the greens rather than the roots.) Please note that each beet seed is actually a cluster of seeds, so you'll have to do some thinning when the greens are a couple of inches long. Thin to approximately two inches apart. Varieties such as 'Bright Lights' are just as beautiful as they are tasty. Chard does very well in containers as well as in traditional garden beds. It can be eaten sauteed like spinach, and the stalks can be eaten raw like celery or used as a celery substitute in many dishes. Give chard even moisture and harvest the outer stalks regularly to keep your plant producing all summer long. Chard appreciates a dose of fish emulsion every two to three weeks. Whether you choose pole beans or bush beans, they are super-simple to grow. You often see recommendations to treat the seed with a bit of legume inoculant to increase yields, but you may actually end up with too many beans even when you don't add the inoculant. Plant bean seeds after the soil has warmed. Pole beans should be planted about six inches apart; bush beans can be planted three to four inches apart. You will need to provide a trellis if you plan to grow pole beans, which will reach six feet tall or more. Keep them evenly moist, and harvest the beans when they are thin and tender. Be sure to harvest regularly. Both bush and pole beans are prolific, and you may well end up with more than you can use. Luckily, beans freeze well! Peas need cool weather to grow well, so they're an ideal spring or fall crop. You can select snow peas, snap peas, or shell peas, but they all have the same basic requirements: cool weather, full sun, trellis or other support to climb on, and even moisture. Plant in spring as soon as the soil can be worked and in fall about eight weeks before your last frost date. Plant cucumbers once your soil has warmed in the spring. You can choose bush or vining types, slicers or pickling cucumbers. You'll need to provide a trellis for vining types and be sure to give your cucumbers plenty of moisture because cukes that are allowed to dry out often develop bitter fruits. Certain varieties, such as 'Bushmaster' even grow well in containers. For a different change of pace, try growing heirloom 'Lemon' cucumbers, which grow to lemon-sized yellow-striped fruits. They're delicious and look great in a salad.